Friends of Scouting is a campaign to provide financial support to your local council. In our case, that is Transatlantic Council. This support is in the form of a pledge or donation to ensure the financial viability of a council. Each council, including Transatlantic Council, must raise all of its own funds to support its operating budget. Councils receive excellent program support from our National office but no financial support is provided. Scouting in the Transatlantic Council remains some of the BEST Scouting that the BSA has to offer! Every unit that contributes an average of $30 per registered family and has a minimum of 30% participation (being defined as a contribution of $10 or more) will be recognized as a TAC Presidential Unit. Each Presidential Unit will receive a 10% discount on every order made from the TAC Scout Shop from the time of their Friends of Scouting presentation to 30 June of the same year. The unit must follow the guidelines listed below. The earlier you do your presentation the earlier that you can begin saving money! Every unit that contributes an average of $50 per registered family and has a minimum of 30% participation (being defined as a contribution of $10 or more) will be recognized as a TAC "Elite" Presidential Unit. Each unit will receive the 10% discount on every order made to the TAC Scout Shop. The discount will continue until 28 February of the following year. The 2009 Friends of Scouting brochure is attached to the bottom of this page as a .pdf file. 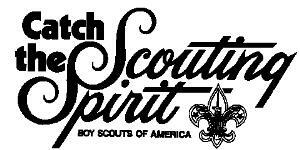 If you are so inclined, please download the form and to help support your Scout by supporting our council!